The volume includes airs and suites for two trebles, two basses and organ, and four-part fantasias and airs. 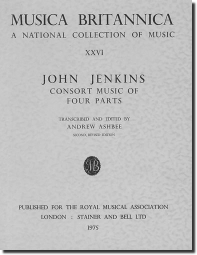 Jenkins was a renowned composer in his own time, and his life and works forged a historical link between the glory of Jacobean consort music and its culmination in the music of Purcell. First published in 1969, revised 1975.